Aims: The aim of this study was the comparison of different electrode types on water quality characteristics in electro coagulation treatment. Materials and Methods: After electrolysis of water samples with commercial electrodes separately (iron and aluminum together), and with coal electrode (as control), quality parameters of hardness, alkalinity, pH, electrical conductivity (EC), and total dissolved solids (TDS) were evaluated by standard methods before and after the electrolysis. After data analysis, the averages of water quality parameters resulting from electrolysis with different electrodes were compared together using the SPSS-20 software. Results: The pH of samples increased significantly after using the iron and commercial electrodes (P < 0.05); no significant change was observed after using the aluminum and commercial electrodes (P > 0.05). Total hardness, calcium, magnesium, and alkalinity were also increased significantly after using the iron and commercial electrodes (P < 0.05); and remained unchanged after using the aluminum and commercial electrodes. EC and TDS statistically significantly increased after applying all types of the electrodes. The color of samples turned brown-red after applying the iron and commercial electrodes and turned opaque white after applying the aluminum and commercial electrodes; and did not change after using the coal electrode. Except when using coal electrode, in all cases sludge was produced, which was green to black while using iron electrode alone and also using commercial electrodes, and it was opaque white when using the coal electrode. The above results do not include distilled water samples. Conclusion: Water electrolysis with studied commercial electrodes cause discoloration and sludge production as a result of aluminum and iron ions release, and leads to the production of turbid and black water, which is wrongly assumed as water impurities. Therefore, these electrodes are fraudulent and used seeking profit. Health authorities should increase the public awareness and collect them from the market. Context: According to W.H.O., the vision of "Health for everyone in 21 st Century," a big challenge which all human communities face is access to healthcare facilities with a high-quality for everyone. Aims: This article aimed to investigate telemedicine operational feasibility in the selected hospitals of Isfahan University of Medical Sciences in 1393. Settings and Design: This research was performed in the selected hospitals and health centers of Isfahan University of Medical Sciences. 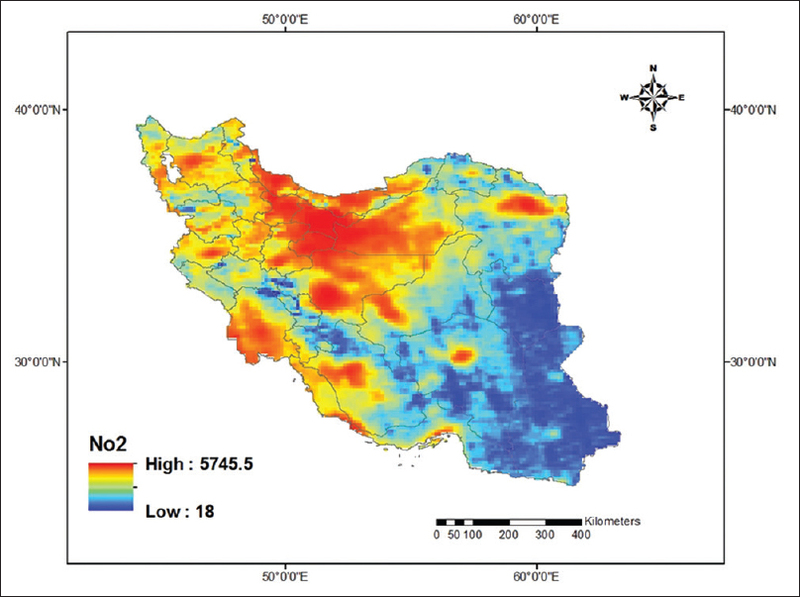 Subjects and Methods: This applied research was a cross-sectional descriptive study, which was performed to determine telemedicine operational feasibility of the selected hospitals and health centers of Isfahan University of Medical Sciences, which had better conditions in terms of bandwidth and the speed of information exchange (50 Mb/s) with the university. Statistical Analysis Used: Data were collected by using a researcher made questionnaire and analyzed using descriptive statistics such as mean, standard deviation (SD), and frequency distribution tables in SPSS software. Results: The score of telemedicine operational feasibility was 68.5% from doctors' perspective and 65.4% according to managers' perspective with SD of 14.4. Doctors were considered as five significant medical references including cardiology, obstetrics and gynecology, burn, orthopedics, and pulmonologist. In using telemedicine, doctors showed the highest interest in consultation with 63% and the lowest interest in providing care with 10.1%. Most experts considered initial costs, legal issues related to doctors, while most managers referred to initial costs, medical staff resistance, and issues related to confidentiality, and licensing problems as the basic barriers to telemedicine implementation. Conclusion: Telemedicine operational feasibility in the selected hospitals of Isfahan University of Medical Sciences was positive and managers; and most doctors believed that the proposed system was able to address many work challenges. Investigating technological infrastructure problems, internet speed, and in general telemedicine Technical feasibility will lead to propose a system, which is consistent with existing facilities. Investment, in order to strengthen cultural infrastructure, will be effective in the success of system implementation. Introduction: The awareness of using chemical, biological, and nuclear agents in everyday industrial and nonindustrial incidents has increased recently; release of these materials can be accidental or intentional. Since hospitals are the forefronts of confronting chemical, biological, radiological, and nuclear (CBRN) incidents, the goal of the present research was to provide a generic protocol for CBRN incidents through a comparative review of CBRN protocols and guidelines of different countries and reviewing various books, handbooks, and papers. Methods: The integrative approach or research synthesis was adopted in this study. First a simple narrative review of programs, books, handbooks, and papers about response to CBRN incidents in different countries was carried out. Then the most important and functional information was discussed in the form of a generic protocol in focus group sessions and subsequently confirmed. Results: Findings indicated that most of the countries had various protocols, guidelines, and handbooks for hazardous materials or CBRN incidents. 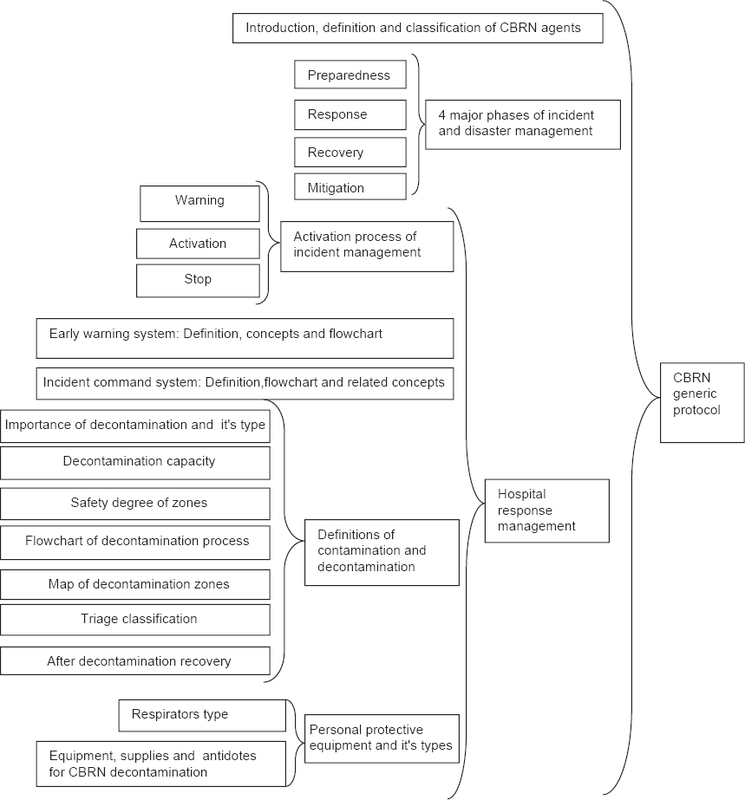 The final outcome of the research synthesis was a 50 page generic protocol whose main topics included introduction, definition and classification of CBRN agents, four major phases of incident and disaster management cycle, hospital response management plan, equipment, and recommended supplies and antidotes for decontamination (radiological/nuclear, chemical, biological); each of these also had subtopics. 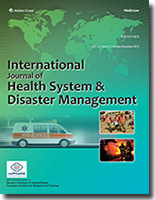 Conclusion: In the majority of international protocols, guidelines, handbooks and also international and Iranian books and papers, there is an emphasis on the importance of incident command system, determining the safety degree of decontamination zones, maps of decontamination zones, decontamination process, triage classifications, personal protective equipment, and supplies and antidotes for decontamination; these are the least requirements for such incidents and also consistent with the provided generic protocol. 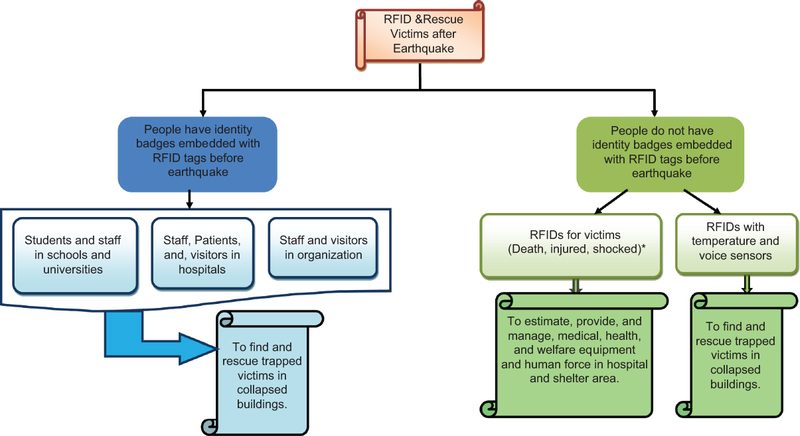 Introduction: Radio frequency identification (RFID) is already used to track and trace the victims in a disaster situation. Objectives: The aim of this study was first, to identify stakeholders and rescuers viewpoints about usage RFID to track victims in shelters and field hospital area after earthquake, second, to list key internal and external factors to use RFID to track earthquake victims, finally, to assess strengths, weaknesses, opportunities, and threat (SWOT) matrix in aspect of rescuers' viewpoint. Materials and Methods: This study was an applied and analytical. The study population selected from the "Red Crescent Society of Isfahan province," "Disaster Management Isfahan province," "Maintenance and Operation Department of Isfahan," "Fire and Safety Services Organization of Isfahan municipality," and "Medical Emergencies and Disaster Management Center of Isfahan." After that, researchers held a workshop. In the meanwhile of the workshop, participants weighed key internal factors (strengths and weaknesses) and external factors (opportunities and threats) to use RFID in tracking earthquake victims. Then, participants' opinions about this issue were assessed. Finally, according to the SWOT matrix, strategies to solve the weaknesses, problems, challenges, and threats through opportunities and strengths were proposed by participants. Results: The SWOT analysis showed that the total weighted score for internal and external factors were 3.91 (internal factor evaluation) and 3.31 (external factor evaluation) respectively. Therefore, it was in a quadrant SO strategies cell in the SWOT analysis matrix and aggressive strategies were resulted. Conclusion: Researchers suppose to apply SO strategies and use a firm's internal strength to take advantage of external opportunities. It is suggested, policy maker should plan to use the most developed technologies to save earthquake victims and deliver the easiest service to them. Background: Many patient safety problems occur during the course of providing health care. They include transfusion errors; wrong-site surgery and surgical injuries; hospital-acquired or other treatment-related infections; and falls, burns, pressure ulcers, and mistaken identity. Key departments such as nursing and nurses, as the largest health care workforce have a critical role in this concern. For assuring health services, it should be set an efficient clinical risk management (CRM) system. An important factor in CRM is the loss prevention plan. This study aimed to reveal the variables affecting loss prevention factor in CRM model of Iran's hospitals. Materials and Methods: This is a cross-sectional and factor analysis research that aims to clarify variables affecting loss prevention component of CRM model. In order to clarify variables affecting loss prevention factor of CRM the valid resources of CRM such as dominant health care organizations websites, books, and journals were reviewed. Leading health care organizations were chosen based on consulting some of the experts of health services studies in Tehran and Isfahan medical universities. Another resources were searched invalid databases such as PubMed, ProQuest, and Springer Preliminary questionnaire consisting of 56 variables was distributed in experts population including top nurses and physicians and also a number of faculty members in relevant departments of 3 universities, in 3 provinces of Iran. Final validated questionnaire through cronbach coefficient was included 40 variables. A final questionnaire distributed to a sample of 210 persons, which were selected through clustering and randomized method. Analyzing data, explanatory factor analysis (EFA) were used in SPSS 18. Results: Loss prevention factor showed, respectively 12/18% of the total variances of variables. This factor in CRM model using Varimax rotation was loaded with the five variables. Factor loading of variables was in a range of 0/5 to 0/8. Confirmatory factor analysis was made to verify the fitness of the factors achieved by the EFA and the findings showed that all of fitness indexes are desirable and appropriate. Conclusion: Establishing a CRM model in Iran's hospitals, it would be necessary to set loss prevention plan. This plan includes five variables. Variables such as: Event reporting, risk identification techniques concern to the education of personnel and patients, and effective communication or collaboration of nursing; and other departments. Introduction: One of the important issues that cities are constantly facing is man-made disasters or natural disasters such as earthquakes, fires and etc. If cities are not already prepared to deal with the crisis, the dimensions of the damage will be multiplied. 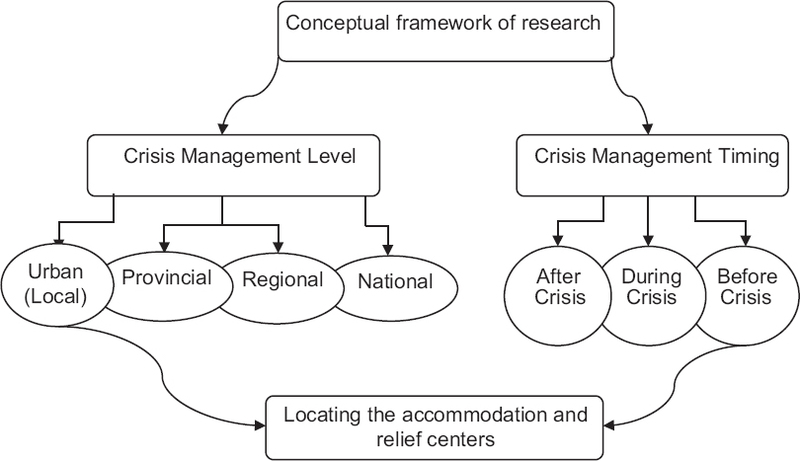 In this field, crisis management concept has been formed which is turned to an important issue in the field of city Anatomy. Also, considering this factor in city planning and designing has become a great concern nowadays. One of the important issues that must be met to discuss the crisis management approach is accommodation and relief centers for victims and the injured in order to rehabilitate the victims quickly and prevent the second wave of damage. In this regard, one of the main tasks of urban planners is identifying suitable sites for accommodation and relief centers after events. Aims: This research seeks to identify effective measures to locate the accommodation and relief centers, as well as prioritizing the measures according to the conditions of Sabzevar city as a case study. The aim of this study from the objective perspective, applicatory, and based on the nature, is of the cross-sectional (case) type. Materials and Methods: To collect needed information, library resources were used, as well as a series of reports, documents and published statistics were considered. Results: According to the achieved results, criteria of living next to residential area, proximity to medical centers, vicinity to fire station, convenient access to roads and being far from dangerous urban facilities are the most important factors for locating of accommodation and relief centers. Also, regarding the conditions and characteristics of Sabzevar city, criteria of living next to residential areas and reasonable access to roads are of the highest priority to locate these centers. Conclusion: the accommodation and relief centers should be designed in a way, which in one hand enables them to be close to heavily urban populated areas, and on the other hand, give them a reasonable access to gather the injured and casualties from events.